Since its founding in 1994, Boomerang Packaging has offered the highest quality packaging products and equipment to its clients. We have remained true to the core mission established by our founder – that a company dedicated to truly superior customer service, and that offered premium products, would succeed in the Houston market. We have grown into a leading supplier of high quality packaging products, equipment and systems not only in Houston, but worldwide. We have done that by remaining focused on our core mission and providing our customers with the best customer service and by working exclusively with the top manufacturers in the packaging industry. When you buy from Boomerang, you know you are getting the best product and support in the market. Our staff, from the owner to the sales department to our warehouse staff, is committed to bringing every customer the best in customer service and meeting their individual packaging requirements. So, whether you are a large international company that needs a comprehensive packaging and marking system, a shipping company that needs wrapping machinery and labelers, a small mailroom operation, or a local business needing boxes for a move to a new location, you’ll find that we will work to meet your needs quickly and completely. Every customer is a big customer to Boomerang. We work as a team. 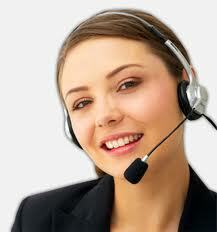 Our owner works in the sales department, and is in touch with all our clients and their needs. And, despite our growth, we operate without the management layers that can get in the way of handling our customers’ needs quickly and efficiently. We never forgot who we are working for. Boomerang carries only premium products from the top manufacturers in the industry. While the best customer service can get us in the door, only the best products will bring you back. The manufacturers stand behind their products. We stand behind our service. If the product doesn’t do what we say it will do, we’ll take it back or replace it, no questions asked. It’s all in our name- we work hard for you, so that you keep coming back- Boomerang!